The South West of Scotland is a favourite holiday destination for many. It has some beautiful scenery with stunning coastline, hills, forests and some of the best fishing in Scotland. The area has a number of towns and villages from the coastal communities to the highest village in Britain, Wanlockhead. The area was also the home to the famous poet Robert Burns and great inventors such as Kirkpatrick Macmillan. Popular activities in the area include walking, kayaking, golfing and biking. There are also many farm parks, fascinating museums and activity centres ideal all the family. The are is also home to the Southern Upland Way, Scotland's only coast to coast footpath. It is coast to coast walk in Scotland between Portpatrick in the west and Cockburnspath in the East. It offers varied walking across the dramatic landscape of southern Scotland. Please click on the links below to find the best holiday accommodation and attractions in the South West Scotland area. Alternatively please click on the links on the right to explore some of the other tourist areas in Scotland. Millbrae House B&B Dumfries & Galloway South West Scotland. A coastal B&B in the village of Rockcliffe in Dumfries and Galloway. 4 Star accommodation. We have 3 en-suite bed & breakfast rooms. Drumburn, our studio suite is dog friendly. Breakfast is served in our light, airy, conservatory. Inchlonaig House Luxury Cottage Dumfries and Galloway . 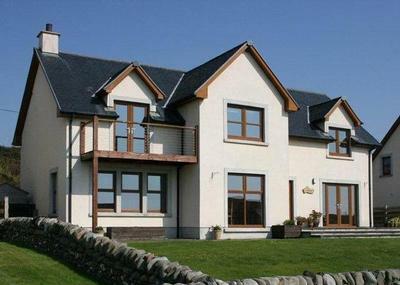 A luxury holiday home in the picturesque coastal village of Port William. This family and pet friendly house is near a sandy beach and a short walk from a pub/restaurant. Ideally located for mountain biking, cycling,and golfing. Lovetoescape.com aims to provide a one-stop shop for holiday makers by providing easy an easy to use directory and information portal for all types of holiday accommodation and attractions in the UK. If you would like to advertise your South West Scotland attraction, South West Scotland Hotel, South West Scotland cottage, or B&B in South West Scotland, please take a look at our advertising options.